Is there anything funnier than that Hitler/Terrell Owens You Tube video that is flying around? I laughed yesterday until I cried! Honest, I was sitting at my desk with tears in my eyes I was laughing so hard. Remember my dream about Hitler? I will never be able to see that movie "Downfall" the same way again. Well, I would never watch it again anyway. Movies about the Second World War, I have had enough of them. I am going to write "Second World War" from now on, not "World War II." It sounds more complicated and archaic. And when I refer to World War I, I am going to say "the Great War." Does anyone remember World War I? Does anyone know what it was? Well, who cares. As long as people know the name Leonard Pennario, I am happy. 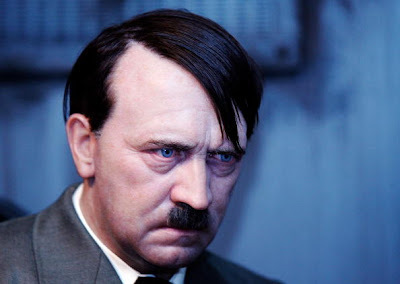 There is one thing I remember about the movie "Downfall." Howard and I saw it at the North Park. He dragged me. That is one thing about having German ancestry. It means you are dragged forever, into the sunset, to movies about Nazis. The part of the drama that sticks in my mind came near the end, when Hitler had decided it was time to check out. He was in the bunker and he was saying goodbye to his staff, telling them to get out of there while there was still time. And his secretary, who is this young woman, she says to her girlfriend: "What do I do? Where do I go? I can't go home to my parents. They told me to stay away from these Nazi thugs. What do I do, go home and tell them they were right?" I whispered to Howard: "Yes. Yes. Definitely do that." That is what I would have done. That is for sure! Before you could say "Goetterdaemmerung," I would have been crawling home. Before you could say "Terrell Owens." What I love about this video is that there was someone, somewhere, sinking all his time into this thing. Someone who made it a priority to redo this segment of the movie and get it out there, as Howard pointed out, on a timely basis. Terrell Owens had just been signed, and this thing comes out. Oh, look. One of the comments on the video says, "This joke is getting old." So someone probably spoofed this scene before. I should have figured that. There is nothing new under the sun! Now I feel all silly and naive. Of course this whole scene has been spoofed before. Of course. My brother George and I were laughing the other day about how naive you sometimes are when it comes to jokes. You think someone has made something up when in fact the joke is as old as your great-grandfather and perhaps older. Once George walked into work and a guy was sitting there at a desk and George said, "Are you working hard?" And the guy said: "Hardly working." "I thought that was so funny, I couldn't stand it!" he told me the other day. This was when we were walking in Delaware Park. "I had never heard that joke before. I thought he made it up!" 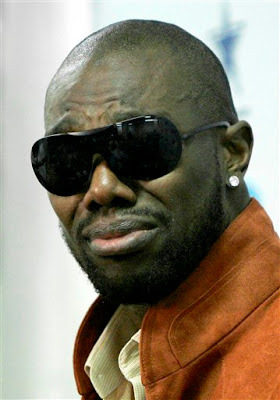 Well, I still think the Terrell Owens thing is funny. Call me naive, I don't care. Besides, it sometimes happens that something old is new again. Like those Brahms waltzes I linked to above. My new You Tube friend Larry posted them the other day along with a lot of other fascinating Pennario performances. Pennario is playing the Brahms waltzes on two pianos, is one thing that is interesting about them. He recorded one piano part and then went back and played against himself. It is amazing, considering that complication, how natural his sound is, how straightforward and passionate. Here the waltzes are again if you want to hear them again. Which, I would totally understand that. The YouTube video is hilarious and I have passed it on to about a half dozen e mail buddies. Your German background: Billy Wilder, who was Jewish and born in Vienna once said "Never underestimate the Viennese; they're magicians. For years, they've had the world convinced that Hitler was German and that Beethoven was Viennese." To anyone who reads this and doesn't know, Beethoven was born in Bonn, Germany, and emigrated to Vienna. Hitler was born in Austria. I have to agree the video was very funny. I had heard about it but not seen it before today. As far as hearing "old" jokes, I hear jokes repeated all the time, but if they are funny, I still enjoy them even if I did hear it before.